YouTube is the most popular video platform that has made hundreds of people popular as these ‘vloggers’ managed to gather thousands of subscribers who actively follow their videos. Poker has a very active online community which shares tips, news, useful info, and other things with other people on the web on a daily basis. One of the poker vloggers who managed to gain quite a popularity recently is Brad Owen, who joined a 100K subscribers club on YouTube. Owen is the second YouTube vlogger who managed to reach this milestone, just after Andrew Neeme achieved that milestone a couple of days before him. The poker vlogger reached this achievement on Sunday and is now enjoying some of the benefits of being in the 100K YouTube club. The best thing of all is that Owen was nominated for the Poker Personality of the Year award at the GPI Global Poker Awards just a couple of days before reaching the 100K on YouTube. Owen decided to start his online vlog poker journey back in December 2016 and has published dozens of videos on YouTube ever since. 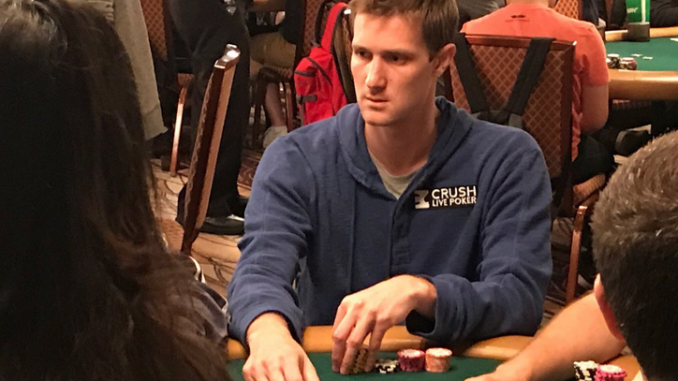 Owen is a cash game player from Las Vegas who is always willing to discuss poker and share his thoughts about it online via his blog. Owen has published more than 105 videos at the moment as he puts some of the best content related to poker at the moment, according to many poker enthusiasts on the web. His most popular video has 660,000 views, and it is called “The BIGGEST Game I’ve Ever Played!! MUST SEE! Poker Vlog Ep 81.” Make sure to watch this video on YouTube as it contains some very useful pieces of information regarding big games, as Owen shares his thoughts and relates to experience gained from the game in the title. Furthermore, Owen also had an opportunity to play poker with some celebrities, one of them being the billionaire Dan Bilzerian, with whom Owen played a $1/#2 cash at Red Rock casino. Owen’s biggest $5/$5 win was achieved quite recently actually, and he managed to discuss it in his Poker Vlog Episode 87, so make sure to check that one out as well! His videos are not all that serious as he also makes some really funny ones, the best arguably being the one featuring his cat rapping about poker. If you are tired of playing this card game, make sure to check this video out as it will definitely put a smile on your face for the rest of the day. Achieving 100K subscribers on YouTube is not a small thing to do, as not many people have an opportunity to build such a huge audience, especially in poker. Therefore, we congratulate Owen on his achievement and hope that he will continue publishing new videos that will help us learn more about poker and have fun along the way.